Kenyans during the weekend were glued to raveling drama online as self-proclaimed brand strategist Wilkins Fadhili, real name Edwin O, Osigro was exposed as a conman. Edwin, a man who was once named among Kenya’s top 40 entrepreneurs and invited to be one of the mentors at Blaze by Safaricom in 2016, ended up being exposed on social media as con man who has been using other people’s name to make a living in Nairobi. 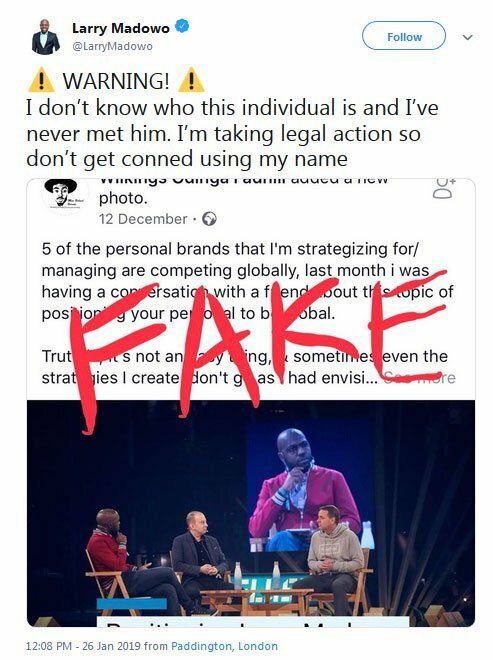 Kahawa Tungu officially exposed him after Larry Madowo, who has been trying to control the damages that fake Facebook accounts are doing to his brand, exposed him and said he’s pressing charges. 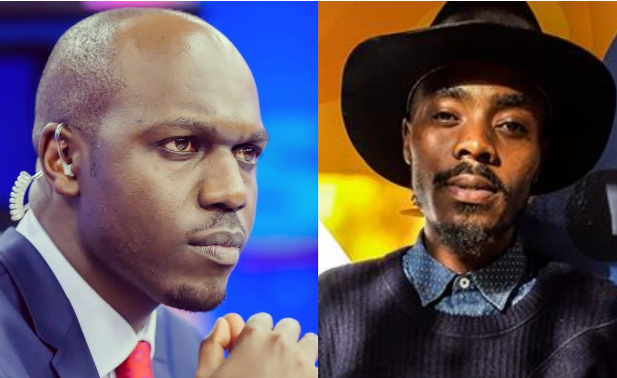 Celebs have now joined Larry’s tune and are coming out to deny any association with Wilkins Fadhili after the expose. Rapper Wangeci mocked him for wearing the same shoes at Blaze summit n 2016. “The only story I have of Wilkins Fraudhili is wondering why a millionaire worth the same shoes throughout the Blaze 2016 summits,” she tweeted. Citizen TV’s Victoria Rubadiri and K24’s Betty Kyallo have also both come out to distance themselves from Wilkins. “Just to let anyone concerned about any engagements with Wilkins Fadhili; I wouldn’t want to beat him when he’s already down but what he’s been doing is wrong. He is not my ‘brand strategist’ nor that of Flair By Betty. I asked him to stop using my name but he never listened,” said Betty.